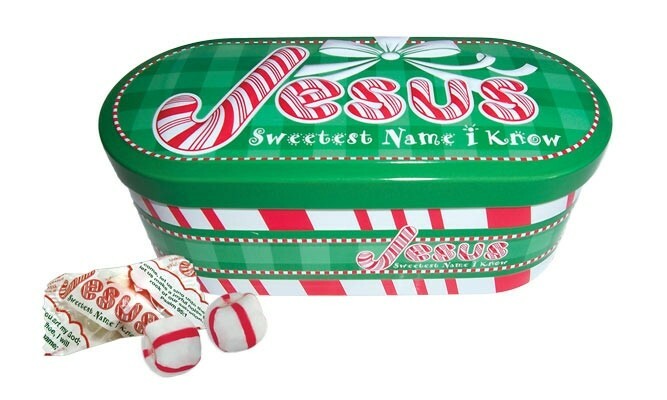 This beautifully embossed "Jesus Sweetest Name I Know" Scripture Candy Christmas tin is filled with 4 oz. of old-fashioned soft peppermints. Each piece of religious Candy is individually wrapped in one of many different scriptures.